DETROIT — If you were gambler, you might want to put up your home, your first born and your savings and checking accounts and bet that a fed judge in Detroit will flatly reject the most recent motion by so called “underwear bomber” Umar Farouk Abdulmutallab. Abdulmutallab, who is representing himself after firing his lawyers, asked a judge in a handwritten motion submitted Thursday to free him from prison, and argued he should be judged by the Quran, not U.S. law, the Detroit News reported. He says he is unjustly being held. The feds don’t see it that way. He was caught red handed trying to blow up an airliner a Northwest Airlines flight over Metro Detroit on Christmas Day in 2009. 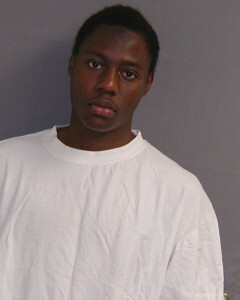 In a separate filing, Abdulmutallab claimed that guards used excessive force after he assaulted several of them while observing Ramadan, the News reported. Posted: 8/26/11 at 9:59 AM under News Story.